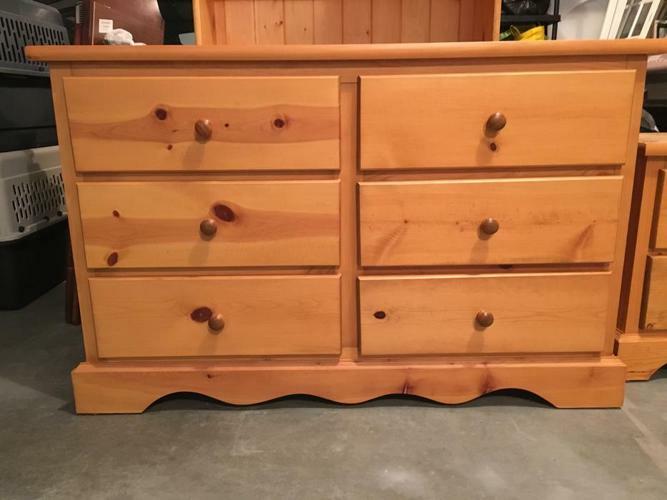 Pine 6 drawer dresser, in great shape. Measures 48"wide, 17.5"deep, 30.5"tall. Take a look at my other ads to view more pine furniture in the same finish for sale. Sorry, no delivery available.